One of the nice things about Fear The Walking Dead is that since it’s a small cast and most of them are related to each other, there isn’t much room to force awkward sexual tension, which has been a problem on TWD. That hasn’t stopped the fans from trying. Mercedes Mason spoke with EW.com in an interview published this morning about the most popular pairings with her character, and what she’d prefer. Ofelia doesn’t strike me as manipulative, but then she’s been in so few scenes that she doesn’t strike me as much of anything yet. 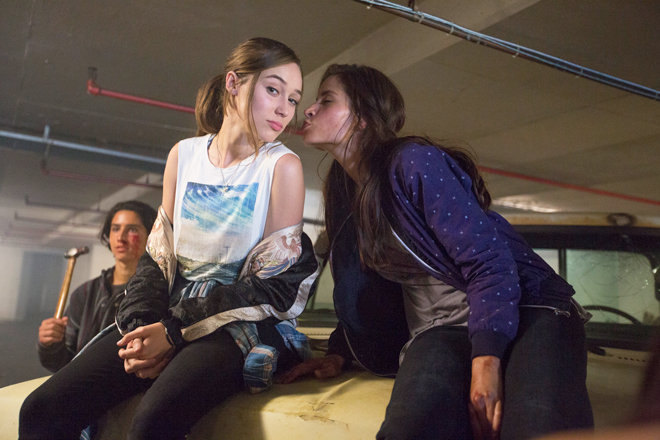 The next new episode of Fear The Walking Dead airs this coming Sunday at 9 on AMC.